The Il Borgo di Porto Corallo, in the municipality of Villaputzu, is a holiday apartment complex by the sea, between 350 and 700 meters from the beach. 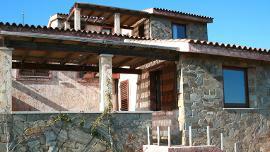 The apartments are located on a hill facing the sea, in a panoramic location over Eastern Sardinia. The apartments, built with plasterwork in antique style and Sardinian stone, are located between 350 and 700 meters from the beach and 300/400 meters from the main resort building. Each apartment is equipped with all amenities and designed to combine elegance and comfort. They are all equipped with air conditioning and/or heating, and a TV. Only a few kilometers from the town of Villaputzu, Porto Corallo is a seaside village where you can spend a wonderful vacation surrounded by nature, and enjoy Sardinian gastronomy. One Bedroom Apartment (accommodates 4) 45 square meters – living room with kitchenette, double sofa bed, bedroom, bathroom with shower, furnished veranda overlooking the sea, and a garden. 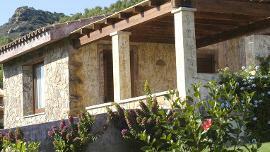 Air conditioning, TV, private parking space and a reserve water tank. Superior two bedroom apartment (accommodates 6) 75 square meters – on two floors. Upper level: bedroom with a balcony overlooking the sea and the backyard. Ground level: living room with kitchenette and sofa bed, bedroom with twin beds, double bathroom with shower, washing machine, TV, furnished patio with sea view. Air conditioning, parking space and a reserve water tank.